X Rebirth’s struggling, thrashing move into the material realm continues two and a half years later. 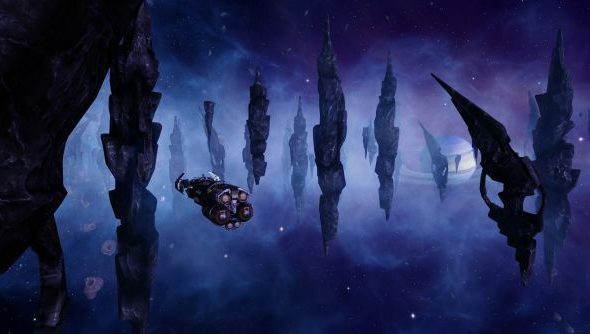 After a series of massive patches and expansions, the ambitious but disappointing space sim that wants to let you do everything but at first wasn’t capable of much anything hits 4.0 with the release of Home of Light. It’s a split with quality of life improvements, bug fixes and some new features being delivered for free as part of 4.0, while paying for the expansion will get you the new content. Enjoy the ever burgeoning list of the best space games. New tutorials and the introduction of time acceleration via SETA are the biggest inclusions, with the latter allowing the game to be played at an increased pace for the often automated trading sections that help you make money. Reaction to both the patch and expansion from the community seem to be good, with many claiming that developers Egosoft have managed to turn the game around after all this time. Not having played the first version of Rebirth, and bouncing off X3 a few years back, I can’t confirm either way, but its been a long road with regular updates since November 2013 – well worth checking in if you can. The expansion itself is cheapest on the Egosoft store, but you can also grab it via Steam or GOG. There’s also a complete edition available for around the price of a normal game that has Rebirth and its two expansions bundled into one, if you don’t own any of it. X fans – how have you found the game has evolved over the past couple of years?